A homelike setting surrounded by nature where patients and families receive compassionate care. 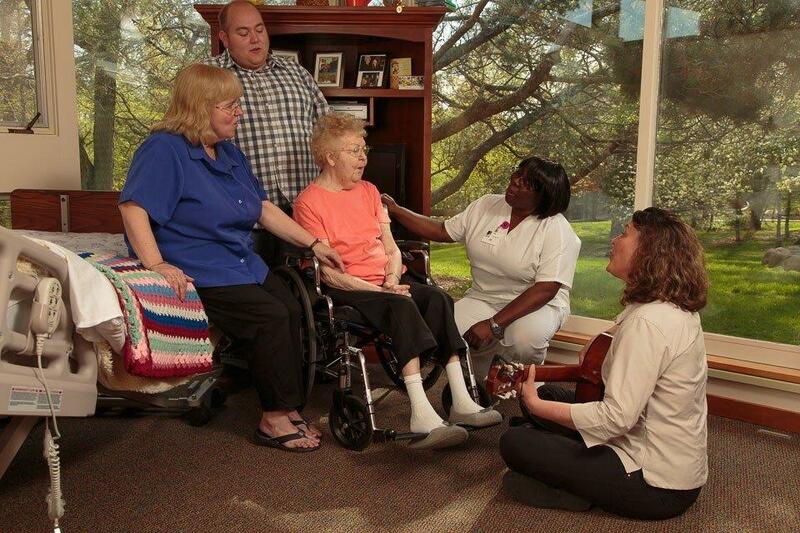 Nestled on 13 acres of beautiful woodlands on the southwestern edge of rural Rochester, Minnesota, the Seasons Hospice House is a tranquil environment in a homelike setting. Housing eight private bedrooms, each patient room has a lovely view of the expansive green lawn surrounded by pine, oak, and maple trees. The common areas of the house are spacious, allowing families and friends to gather. A family room and kitchenette are available for visiting families and patients. The Seasons Hospice House was built in 1952 as the family home of Dr. Ed and Mrs. Winnie Donoghue, and was converted to the Seasons Hospice House in 1997 as the first Medicare-certified hospice facility in Minnesota. Admissions to the Hospice House are available seven days per week by contacting Seasons Hospice at 507-285-1930.
volunteer veterans who come to honor the service of our veteran patients. the Seasons Hospice medical director regularly visits patients at the Hospice House. Payment for residential hospice care varies for each person, although room and board is primarily the responsibility of the patient. The Seasons Hospice staff can help patients and family determine payment specifics as they relate to their particular situation. Financial assistance may be available to assist with the cost of room and board.